Little engines can do big things! 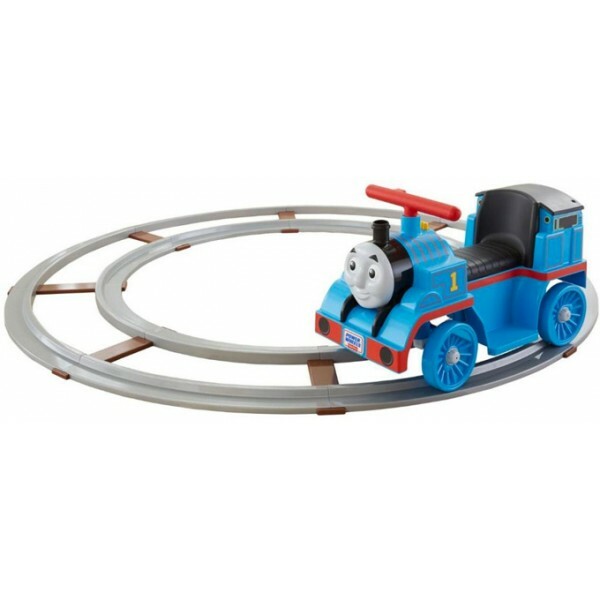 The Fisher-Price Thomas with Track lets kids ride right in your living room. 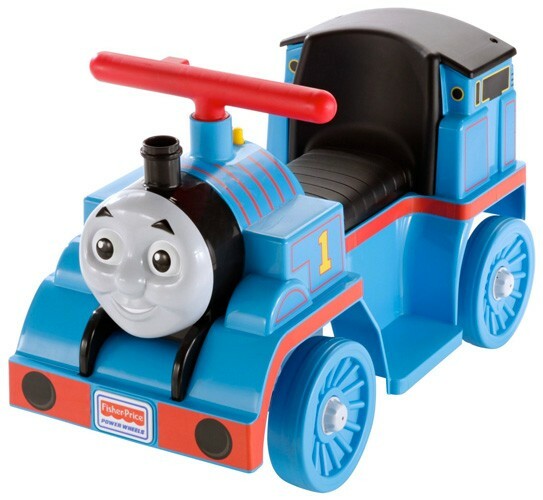 Fun styling, Thomas phrases and sounds, and toddler-friendly features will have them hopping aboard every chance they get. The push-button control switches make it easy for little ones to master. They'll easily learn when and how to start, go forward, steer, and stop. And the included track lets kids as young as 12 months old ride around (and around) before they're ready to drive around. 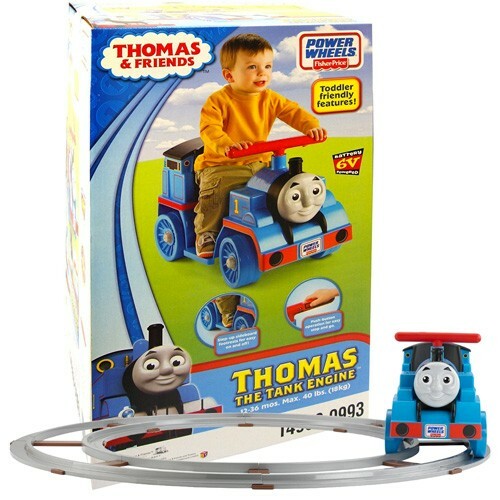 Then, when they get older, they can steer Thomas on an off-track adventure!